The weather is warming up, and school is about ready to let out – it’s time to get outside and plan a road trip! Whether you stay right here in New England or head out west, it’s a smart idea to take some time to make sure your vehicle is up for the challenge. 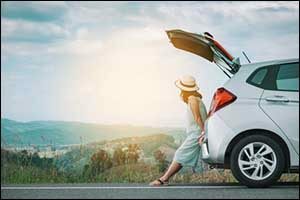 Even brand new cars require regular maintenance, so your local insurance company in Fall River wants to share some pointers that will help keep you safe on your trip. No one wants to spend their vacation at an auto repair shop or waste money that could have been used for an adventure on a tow truck. Your Fall River insurance agency wants to help you make happy memories while out on the open road. If you aren’t savvy with automotive repairs, consider visiting the local dealership or a trusted mechanic to get an inspection before your trip. They will check the tires, fluids, brakes, and other essential mechanical items and provide you with an assessment and probably some recommendations. If you can swing it, invest in a complete oil, lube and filter service that includes topping off of important fluids, such as coolant and windshield wiper fluid. Ask about a service called a “maintenance package,” which also includes a tire rotation, battery check, and a complete inspection of your tires. from will help you have confidence in the ability of your vehicle to make the trip. Create a safety kit for your trip, which should include a basic first aid kit and an emergency kit. If you already have these items in your vehicle, take a quick look to make sure that nothing has expired and that everything is in place. You don’t want to get out on the road only to discover that your flashlight and tire inflator got used on another vehicle and were never put back in the trunk. Other items that should be added to an emergency kit are a multipurpose tool, extra fuses, an extra quart of oil, roadside flares, some clean rags, and a pocket knife. Make sure all of these items are properly stored and secured in the trunk or the back of your vehicle for easy access and to protect them from damage. Most newer cars come equipped with some GPS or global positioning system navigation. This can be helpful if you are visiting a new area. If you do not have GPS in your vehicle, your Fall River car insurance company recommends that you download an app to your smartphone or that you consider purchasing or even renting GPS for your trip. It can be very valuable while you are traveling, helping you to find everything from gas stations to restaurants, auto service centers, and even your goal destination. What are you bringing with you on your trip? Some people might pull a camper, haul a boat, or even bring a small trailer to hold bicycles, luggage, and other personal effects. Make sure that your vehicle can handle the load. Read the owner’s manual to make sure that you don’t overload your vehicle, which could result in serious and expensive damage. Even if you aren’t hauling a trailer or anything else behind you, make sure that you don’t overload the trunk, inside of the vehicle, and the luggage rack. You might be surprised at how much those oversized suitcases can hold. Even with all of this preparation, accidents do happen. Motorists can get stranded for hours at a time, just waiting for roadside assistance or help to arrive. Plan ahead and make sure to have enough bottled water and healthy snacks for each person in your vehicle. You might need different items for trips in the summer than you would in the winter, so think ahead and plan accordingly. Consider bringing along a pre-charged extra battery or quick charger for your cell phone. Make sure the connectors fit and that everything is kept in a safe place that can be accessed easily to allow you to call for help. Another great tip is to check on your auto insurance policy. When is the last time that you updated your information? Get a contact number that you can call in case of an emergency. If you have roadside assistance in your Fall River car insurance policy, make sure you have a card or a number that you can call quickly. You should have a current copy of your insurance with you at all times, but double-check before you leave on a trip. You don’t want to get caught without the proper paperwork if you get into an accident or get stopped in another state. Call Paul Sullivan Insurance Company in Fall River at 508-678-9611. Our agents can answer any questions that you might have about your auto insurance policy and provide you with tools that you can use to your advantage. Looking for a new provider? 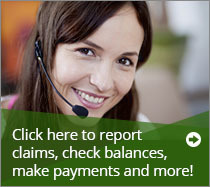 Give us a call at any time and we will give you a FREE auto insurance quote through our Fall River insurance agency.